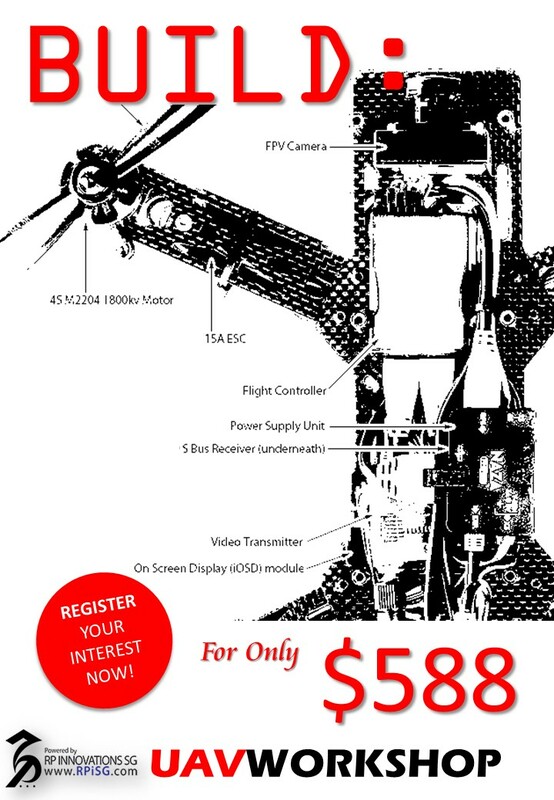 RP Innovations SG is proud to present this one-day workshop on how to build your own Unmanned Aerial Vehicle (UAV). This workshop will cover an overview of UAVs, the various UAV components and a step-by-step guide to assemble an UAV. In addition, participants will learn to configure the flight controller and test their flight. Most importantly, participants will take away their self-built UAV each to continue practising and enhancing their new skill set for UAV Racing Competition.